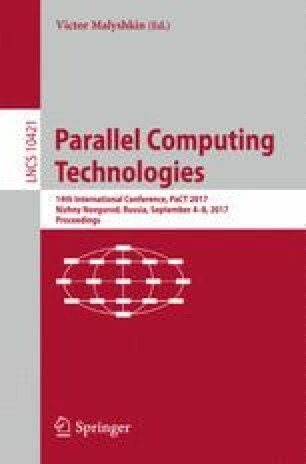 The paper addresses the 3D extension of the Cartesian multilevel nested-type grid methodology and its software implementation in an application library written in C++ object-oriented language with the application program interface OpenMP for parallelizing calculations on shared memory. The library accounts for the specifics of multithread calculations of 3D problems on Cartesian grids, which makes it possible to substantially minimize the loaded memory via non-storing the grid information. The loop order over cells is represented by a special list that remarkably simplifies parallel realization with the OpenMP directives. Test results show high effectiveness of dynamical local adaptation of Cartesian grids, and increasing of this effectiveness while the number of adaptation levels becomes larger. This research was supported by the grant No 17-71-30014 from Russian Scientific Fund.